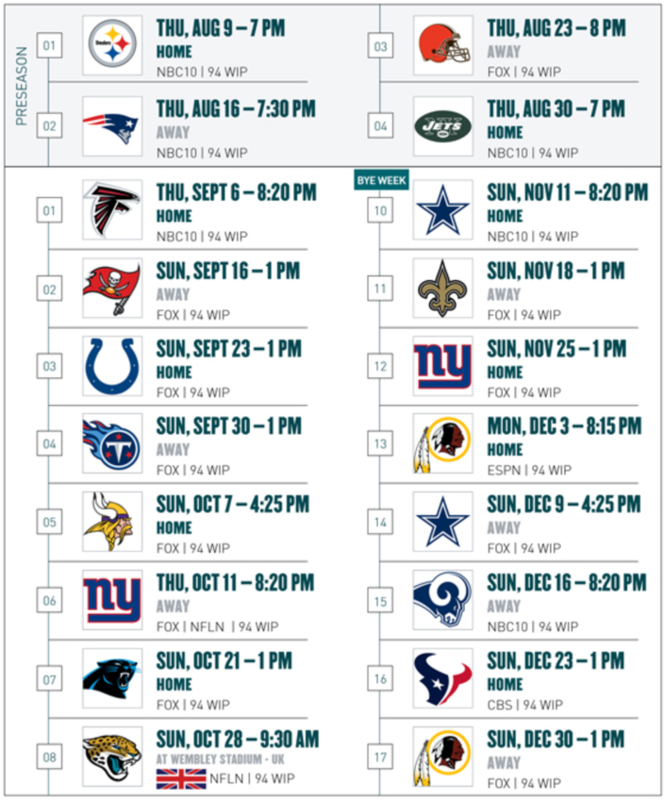 Eagles fans, you might want to make sure you have nothing else to do at 10 a.m. on Thursday. Single-game tickets for the reigning Super Bowl champions will go on sale this week via Ticketmaster, the team announced in a statement. That covers both preseason games and eight regular season games, starting with the home opener against the Atlanta Falcons on Thursday, Sept. 6 at 8:20 p.m. Quarterback Carson Wentz seems to think he'll be ready to return to action after last year's season-ending knee injury. 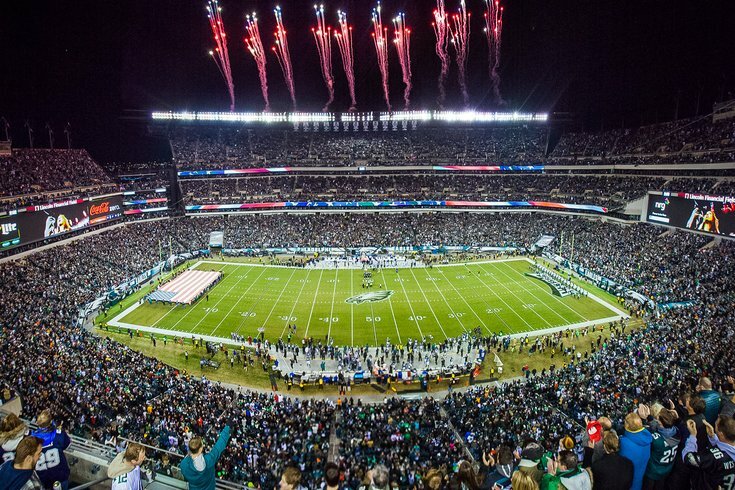 The Eagles have two primetime divisional games at home—week 10 against the Cowboys and week 13 against Washington—to go with a highly coveted Oct. 7 rematch against the Minnesota Vikings. Fans can purchase tickets by visiting Ticketmaster.com or by calling Ticketmaster at 1-800-745-3000. There is a four-ticket limit per household. Word to the wise: these tickets always get snapped up quickly. Multiply that by first-ever Super Bowl victory and you can imagine what the rush will be this year.